At the end of World War II, Brigadier Oswald Allen Harker, Deputy Director General of MI5 asked Lt. Col. George Frederick Sampson to write a brief history of Camp 020. 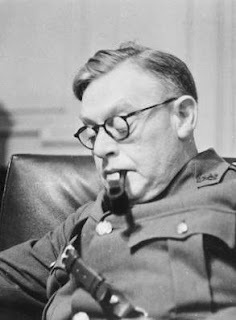 In late September 1945, Sampson submitted his report to Harker and then retired from the Security Service, taking a job with the United Nations. At Sampson's request, the history was sent to Lt. Col. Robin William George Stephens, former commandant of Camp 020. Stephens read the history and offered his view. It was too brief. It needed to be rewritten. He would be happy to do the job. Stephens set about rewriting the history of Camp 020 with vigour despite the fact that he was serving as commandant of a British interrogation centre in Germany, Bad Nenndorf. While Stephens scribbled away in his unique style, avowing that "violence was taboo", prisoners at Bad Nenndorf were being physically abused by the guards. Stephens' history was published in 2000 by the National Archives, edited and prefaced by archivist Oliver Hoare. It makes for fascinating reading, but it is only one point of view. When I visited the National Archives in 2014, I wanted to have a look at the original files written by Stephens on Camp 020. these files were the ones edited and abridged by Oliver Hoare. Alas, the files were "unavailable". I browsed through the titles of other KV files (Security Service) and came across KV 4/8 - Sampson's original History of Camp 020. I ordered the file and it too makes for very interesting reading, in part because of the comparisons that can be drawn between the two histories. Both histories are written in the third person and generally do not mention the names of Camp 020 officers. When Stephens writes of the "Commandant" he is referring to himself. The Assistant Commandant was Sampson at one point, and later Douglas Bernard Stimson. The Resident Medical Officer who was present in the early days of Camp 020 was Henry Dearden. Sampson's history appears to be written very calmly and objectively. Stephen's history on the other hand verges on the flamboyant and provocative. Stephens happily applies nasty labels to prisoners or ethnic groups. One is left with the impression that Stephens was a bit of dictator with a hint of megalomania and a dash of bully. It takes a bit of effort to read beyond the name-calling and one is left wondering, how accurate are the portrayals of the spies? It becomes virtually impossible to peel off Stephen's subjective opinion of the hapless agents and approach anything like an objective assessment. Sampson's history, in that regard, is more helpful. His writing is coolly logical, descriptive and helpful. 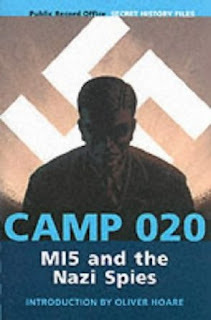 Both histories touch on the case histories of many of the spies who passed through Camp 020. Given that the original Stephen's file is "unavailable" at the National Archives, we must be content to use the Olive Hoare version. Given that I have a specific interest in Josef Jakobs I'll compare how Stephens and Sampson viewed him. Though this case is not strictly speaking "pre-invasion", since this agent did not arrive till January 31st, 1941, it will be convenient to deal with it at this stage, together with the linked case of Karel Richter (see below) as they represent the lasts parachutists to be dispatched to this country by the Hamburg Abwehrstelle. Jakobs, a German national, when being dropped by parachute in the evening of January 31st, broke his ankle, so that on landing in a field at Ramsey, Huntingdonshire, he was unable to move. The next morning he attracted attention by firing shots with a revolver and was thereupon arrested. He had in his possession an identity-card in blank, a ration-book in blank, a W/T set, a partially destroyed German circular code, a touring map of England and 497. 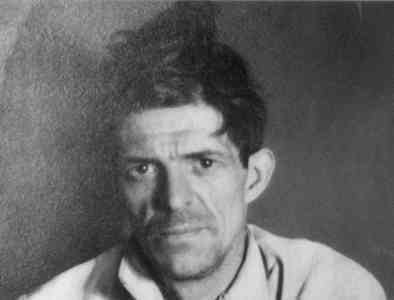 In view of his physical condition he could not be exhaustively interrogated before being transferred to hospital. He was naturally unable to deny that he was a German agent and his defence was that he had accepted his mission in order to escape from Germany. The investigation could not be continued until April 15th, when he returned from hospital. It revealed a criminal record and a maze of intrigue and double-dealing. His mission was weather reporting. He supplied some information about the organizations in Hamburg, where he had been trained in W/T, and The Hague, where he received meteorological instruction. The only valuable information which he gave related to the spy Richter, whom he had met at Hamburg and The Hague. Jakobs was shot as a spy in the Tower of London on August 15th, 1941. The first of the clandestine agents [of 1941] was a German, Josef Jakobs, who was dropped by parachute in the evening of January 31st 1941 at Ramsay, Huntingdonshire. He broke his ankle when being dropped and was unable to move or to conceal his equipment which consisted of the usual W/T set, code, false identity papers, etc. He had in his possession £497, a much larger amount than that given to previous parachutists - an indication perhaps that the German invasion was no longer impending. In view of his physical condition he was interrogated very briefly at Camp 020 before being transferred to hospital. His defence was naturally that he had accepted his mission in order to escape from Germany. The investigation could not be continued until April 15th when Jakobs returned from hospital. It revealed a long criminal record and a maze of intrigue and double-dealing. His mission was weather-reporting. He supplied some information about the organization in Hamburg and The Hague, where he had been trained. The most valuable information which he gave related to the spy Richter, whom he had met at both places. 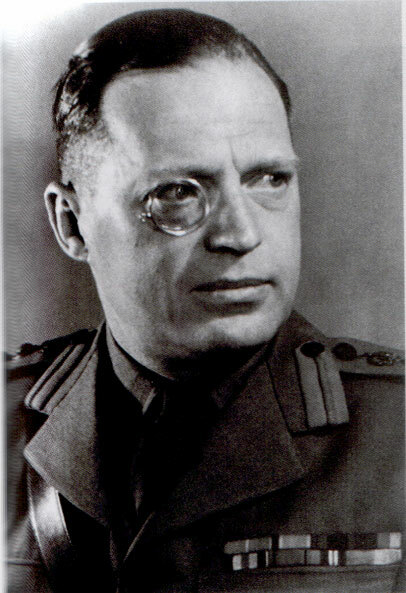 Jakobs was shot as a spy in the Tower of London on August 15th 1941. The lull in airborne espionage traffic ended at 2100 hours on the night of 31 January 1941 with the arrival near Romsey [sic], Huntingdonshire, of a 43-year old German, Josef JAKOBS. He lay in a field with a broken ankle, draped by his parachute and surrounded by his equipment, until 0930 hours on the following morning, unable to move. He had been boldly shy hitherto of betraying his presence, but by this time the physical hurt had become unendurable. He drew a revolver and fire it into the air to attract attention and succour. He was quite unsympathetically taken into custody, for the police are zealous and such visitors are rare in Huntingdonshire. An inventory was taken of his property. It made interesting reading: two identity cards, one in blank, the other in the name of "James RYMER"; a ration book in blank; a portable radio transmitter; a partially destroyed circular code (No. 9); a Shell touring map of England; £497 in notes, and a Mauser revolver. He ofund himself at Camp 020 on the following day. The first interrogation, to which he was brought on a wheeled stretcher, was a painful affair. But it would have been improper, in view of the man's distraught condition, to go into the full details of his case at this stage. Instead, admissions were obtained from him on the salient features of his contacts, training and mission for immediate transmission to MI5. The man's agony could not be prolonged, if only in the interests of coherence and concentration; he was despatched to hospital after that preliminary step. He did not return until 15 April. The respite had obviously fortified his spirit. It soon became apparent that he was now determined to fight back. He was a doughty opponent across the interrogation table, shrewd and courageous. He sought to retract some of his earlier admissions; he volunteered no information of great value; he agreed to work under control only with manifest reluctance. Such facts as were dragged out of him were the fruits of perseverance and perspicacity. JAKOBS' moral strength probably stemmed from his patriotism. He had few other moral qualities . He had started life as a respectable dentist, but he had gone into decay; he had served a sentence of imprisonment in Switzerland following deals in counterfeit gold; he had drawn handsome if unsavoury payment out of Jewish migrations, thought himself an Aryan; he had disgusted even the Gestapo by such activities and had been briefly confined by them. He would still have his interrogators believe that he had accepted his espionage mission only after consultation with his Jewish friends and in order to canvass funds for their organization. The actual circumstances of his recruitment were never made clear. He spoke vaguely of "Nachrichtendienst" officers in Berlin, Hamburg, The Hague. He gave few details of his training in weather reporting and radio transmission and little information about his contacts; he professed to know nothing about Abwehrstellen as such. When he named "BRUHNS" at Hamburg and "ZEBRA", the radio instructor at The Hague, ti was clear that he knew of and was known to at least two Asten; but the identity and station of his controlling officer and Stelle could not be established with any certainty. For JAKOBS remained stolidly true to his masters and fellows. He acknowledged acquaintance with another agent, Karel RICHTER, a later arrival by parachute, only when it was evident that his colleague was already known to us. At a subsequent confrontation with RICHTER he bore himself with apologetic resignation. JAKOBS was manifestly unemployable as a double agent; as a tome of reference in the living counter-espionage library that was being created at Camp 020 he would have drawn blank. There was no good reason why he should continue to live. He was prosecuted under the Treachery Act and sentenced to death. He died at the Tower of London on 15 Aug 1941, a brave man. His last words directed the "Tommies" of the firing squad to shoot straight. Stephens was clearly a Character, one who infused a lot of himself into his written reports. In many ways, having his personal opinions expressed gives one an added lens through which to view the spies who came into his field of vision. He saw Josef as a "doughty opponent" and a "brave man". These were qualities that Stephens valued. He sneered at men who sniveled and whined and caved in before him. Perhaps he was influenced by his time with the Gurkhas in India, a regiment whose nickname - "Bravest of the Brave" - and motto likely stuck with him - "Better to die than to be a coward". Sampson's history is valuable for its concise factual nature. Stephens' history is valuable in providing a narrow lens through which one can view the spies from a personal perspective. Knowing the background of the lens (Stephens) is, of course, important. One can recognize the tint of the lens and how it has coloured his perspective.